This timeless timepiece has a stainless steel case and five-link bracelet, complemented by a striking azure blue watch face inlaid with silver numbering and the Emporio Armani logo. The highly esteemed Armani brand is recognised the world over, and with today’s fantastic deal you can own a piece of their premium wristwear for a fraction of the usual retail price. 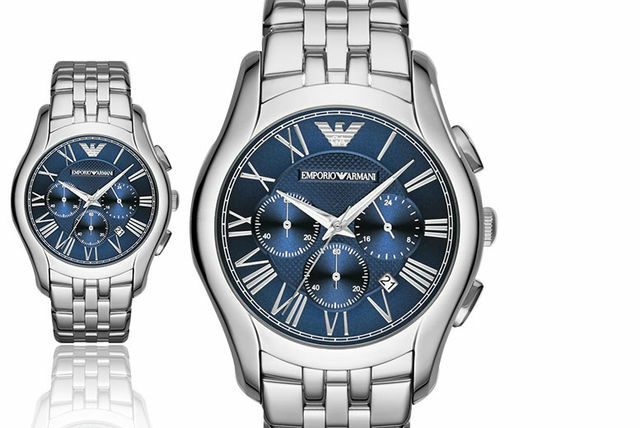 Get a classic Emporio Armani watch. With a sleek stainless steel case. And a deep azure blue watch face. Own a piece of authentic Italian style!